This post, and the two following, really has nothing to do with motherhood or parenting or my kids but I wanted to chronicle it for my own memories and to encourage people to trust their gut - even if the people disagreeing with you are physicians, nurses, and other medical professionals. This Father's Day, 2017, my parents came over for dinner and it was a normal day - I felt great, I played with my kids, volunteered at a local 5K, and all of those normal Sunday Funday things. Shortly after my parents left, I was playing with my son and out-of-nowhere I felt a sharp pain on the left side of my chest. My first thought was a pulled muscle but I wasn't really convinced. I decided to call it an early night and went to lay down and tough it out, but something told me this was more than a muscle pull. 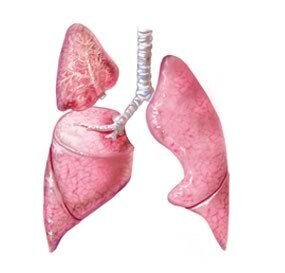 (a brief history: In high school, 2000, I, also out-of-nowhere, suffered from a collapsed lung caused by pneumonia. They did a broncoscopy and all was well. In 2004, I went to the hospital with similar chest pain and they found an infection in my lung. Because we caught it early enough, they were able to treat it with antibiotics). After about an hour or so, I decided I was failing at "toughing it out" and we gathered up the boys, dropped them off at my parents and went to Robert Wood Johnson Medical Center in Rahway, NJ. At the ER, I was seen right away because "chest pain" is the magic phrase that gets you in the door. I was x-ray-ed, EKG-ed, and interviewed but because I did not meet the textbook version of a pneumonia patient, despite retelling my history, I was brushed off. It seemed as though not remembering medications you took in 2000 when you were 16 years old makes you an unreliable patient and therefore not worthy of an ER physician's time. Well, to hell with you! I was asked to stay overnight for "observation". Apparently Dr. Bernstein and I define that differently since I was really just left in a room to wait about 20 hours to see a pulmonologist, I didn't feel very observed. Oh, it was also at this time a nurse absently told me my EKG was abnormal and my white blood count was high. Super, thanks for sharing. Near 5:00pm the following day, I was seen by Dr. Sinha. He spent, maybe, 3 minutes with me, moved my arm up and down, side to side, told me I pulled my pectoral muscle and wrote a prescription for pain medical. From there, I was free to go. He was an asshat. There are two things wrong with this situation - well probably more than that but here are two. Thing 1) I had been sitting in this room for almost 20 hours at this point with no interaction, other than those tedious "vital checks" every four hour. If something was wrong, which we would learn that there was, it could have been growing, festering, and worsening (which it did) during this time and no one cared to ask. Thing 2) Dr. Sinha wrote me a prescription for a VERY potent pain pill and muscle relaxer without really asking me anything about my medical history, tolerance to pain, addictive habits, etc. This is part of the reason why we have an opioid crisis in America. It may seem I am rushing through this hospital stay and omitting details but there really isn't much to say since no one seemed to care about me. I believe I had oatmeal for breakfast Monday morning if that helps paint a picture. Fast forward to Tuesday night/Wednesday - I was up all night - sweating, freezing, restless legs, probably gas - it was a mess. Wednesday morning, I went to my parents to sleep. We were getting work done on our house that day and I didn't want to be bothered. Driving down the parkway, I really had to focus to get it together. In hindsight, I probably shouldn't have driven. As soon as my mom saw me, she knew this wasn't a pulled muscle and she took me to Summit Medical Group's Urgent Care facility. Again, "chest pain" got me right in the door and within two hours I was diagnosed with a "whopping case" of pneumonia and a pretty hefty infection. The team here was amazing - exactly the opposite of the team at Robert Wood Johnson. They also took the time (and by "the time" I mean the two minutes required) to explain my EKG, high white blood cell count, fever, and other things that good doctors should do. They also put a sense of urgency on things - calling ahead to Morristown Medical Center and letting them know I was on my way. It was at this time, I began to feel two things 1) a sense of panic because there was something wrong with my lung and 2) a mental case of the I-told-you-so's and satisfaction that this was, in fact, something. My husband picked me up at SMG and whisked me over to Morristown. It is at this time, I would like to thank everyone in my family for being so awesome. If it weren't for them, I would have probably just remained sweating in a chair somewhere. Wednesday to Friday, I was at Morristown Medical Center. This visit was uneventful but informative. I learned that this raucous was due to a birth defect. My lung never fully developed and there was a little pocket that was just asking for infection all along. My team of doctors, yes - I went from a pulled muscle to having a team - decided we would try and attack it with antibiotics, shrink the infection, and then surgically remove the mass (and ultimately the defunct part of the lung). This was a lot to take in but at least we had a plan but I was angry too. Angry that RWJ could be so wrong and careless in their diagnosis. By Friday, I was getting my antibiotics through a pic line so the medications could more effectively do their job. The initial plan was to wear the pic line for 6 weeks with weekly visits from a home nurse to clean the bandage and take blood. Because of the nature of the line, this also meant I couldn't get that part of my arm wet - no good showers, no pools, no sweating, no gym, no real fun - until August 4th, but at least I was home and not in any pain. Things were certainly inconvenient but manageable. "It will be a little uncomfortable but no, not hurt"
"Do you do a lot of pic lines? "Yes. I wake up every morning thinking 'yes! pic lines!" On Monday, July 10th I had a visit with my thoracic surgeon. I went by myself since I was under the impression it would be a follow up and nothing interesting would happen. Dr. Widmann checked my x-rays and scans and determined, in so many words, there was no time like the present since the infection wasn't shrinking as rapidly as they thought and, selfishly, I wanted to be fun on my vacation in August. He took the time to explain the procedure, using models and my x-rays as visuals. For some reason, I assumed only the infection would come out so things got very foggy when he mentioned "removing part of the lung" and "separating the ribs" if the mass is to big. I remember just nodding along and then perking up when he asked, very causally, if next Tuesday, July 18th would work. He had an opening at 12:30 pm. "Well when you first wake up, you may feel like you've been shot - but after a few weeks, you will be back to normal. I've had patients go on to run marathons, swim, everything as they did before the surgery and they were older than you"
"Oh. Well I have never been shot so that should be interesting but the rest sounds good"
A lobectomy is a surgery to remove one of the lobes of the lungs and may be done when a problem is found in just part of a lung. The affected lobe is removed, and the remaining healthy lung tissue can work as normal. The lungs have sections called lobes, 3 on the right and 2 on the left. (I would have one of these removed). In my case, I was to have a video-assisted thoracoscopic surgery (VATS) procedure. With this type of surgery, 3 or 4 small incisions are used instead of 1 large incision. Small tools are put into the chest cavity. One of the tools is called a thoracoscope. It’s a tube with a light and a tiny camera that sends images to a computer screen. This shows the internal organs on the screen. The small tools are used through the other incisions to do the surgery. I walked out of that meeting in a daze. So many things were said: lung removal, breaking ribs, laprascopic, 2-10 days in hospital, general anesthesia - whattttt? And of course I didn't think to bring a family member because I thought it was just a follow up! When I called my mom and husband with this information, I'd like to think I sounded cool and composed with the "we gotta do what we gotta do" mentality, but I am not sure that is what came across. Meanwhile I was starting to get an allergic reaction to the antibiotics in the form of hives. Awesome. Monday, July 17th was my last at work before medical leave and I woke up itchy. My arms mostly but my stomach and back were well on their way to becoming a hot mess. As the day wore on, my neck, ears, and thighs started to itch. By the time I was ready for bed, I wanted to claw my skin off. Tuesday morning I woke up in basically a leotard made of hives. From neck to knees, I was covered - blotchy, swollen, red, and itchy like you would not believe. It was so much so that I called the doctor's office to make sure they would still be able to do the surgery. "Are they in your mouth or throat?" "Ok, then we will see you this afternoon". We tried to have a normal morning with the boys before we took them to my parents and my husband and me off to the hospital. One pro of the hives - they took my mind off of the surgery. Everywhere we went, the medical staff was shocked by my hives but there was little to be done since I was going under. Aside from being petrified, I reminded myself that at least I wouldn't be itching during the surgery. The worst part of the pre-surgery was actually the IV. Since I had been so poked and prodded the last month, the veins nurses usually go for were bruised and angry so they had to put the needle in the top of my hand. This was the most painful thing in my life up until this point - well maybe now - but it hurt like an MF-er and I was holding on to this poor medical student for dear life. Once it was in, I hid my hand under the blanket so I wouldn't have to look at it. Very mature of me. DJ came in a little before surgery to sit with me in my waiting stall and meet with the doctors. My anesthesiologist came in and, for the first time, I felt old. This man looked so young. I was tempted to confirm I wasn't his first patient or that he wasn't a student. He, and the rest of the surgical team, were all as cool as cucumbers. I tried that but when they wheeled me away and separated from DJ, I fell apart. I think I was whimpering when they put the little mask on me before the drugs kicked in too. Fast forward to 6:00pm. I remember waking up several times - beckoning to the nurses with my mind since I didn't have the energy to speak. Did I feel like I had been shot? I guess so. It hurt and it was very sore but there was no burning which I thought would be part of a gun shot wound. Speaking, however, was challenging. I could barely make it above a sultry whisper. If things didn't work out in Higher Ed, I could have gotten a gig as a 900-number call girl. Once I was awake enough, DJ came in to see me, and later the transport team came and helped me move to my new, private (!) room. When we pulled in front of the doorway, the transport guy said "Okay, now you have to walk to that chair. Dr. Widmann likes his patients sitting up post surgery". The walk might have been fifteen feet but looked like a mile - like in cartoons when the room stretches and seems to extend forever. The walk was easier than I thought and I soon learned sitting up was more comfortable anyway because of the chest tube and the need to sleep at a 60* angel. After a late dinner, DJ and I settled in to our new accommodations and watched a few episodes of Alaskan Bush People. I wasn't super tired (since I had slept most of the day) so the hourly interruptions from medical staff weren't too bothersome. Yet.